LOLStars & Headliners: Your Ticket To A Season Of Laughs With India's Best Comics! LOLStars & Headliners: A Season Of Laughs With India's Best Comics! Veteran comics and the best up-and-coming ones take to stage in shows all over the country. Check out all shows and details here! A LOLStars Comedy night promises you an evening of the finest comics giving you new comedy, which is guaranteed to leave you red in the face and give your abs a good workout. You will see one of the top comics on tour, supported by a rising star who has recently brought comedy club audiences to its collective knees. Keep checking this page because more and more shows will keep getting announced - and more cities as well. There could be a few surprises in there as well! This is the ultimate in comedy! One night, four (or more!) top comics. It's a breathless evening of laughter. As soon as you're done ROFLing over one set, comes some LOLs from the next. It's a glorious celebration of some of the biggest names in comedy, all under one roof... A roof that is constantly in danger of falling down because of all the laughter that ensues. Only the very best of Indian comedy! Plus - the new Comicstaan stars who you now want to see live. 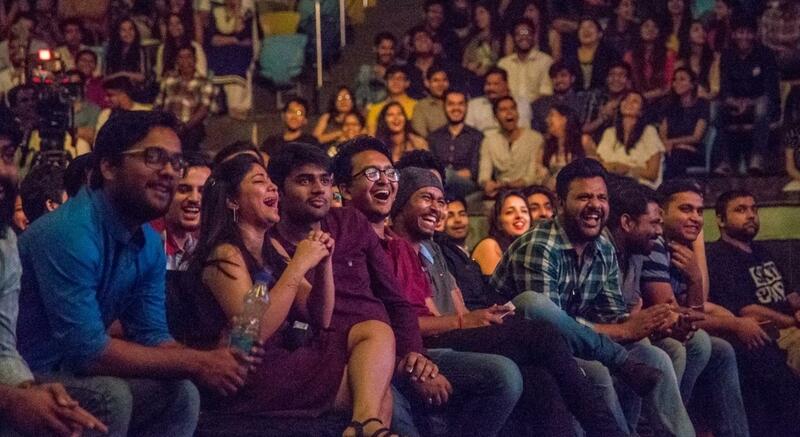 Last year, Headliners and LOLStars sold close to 45000 tickets as India's best comics traveled to 27 cities. This season, things are going to get bigger, better and funnier. Who's performing?